The Hairy Hooligans must always be prepared for any situation that may arise. Back before Hiccup met Toothless and before the School of Dragons was established, the Hairy Hooligans were well-acquainted with the battlefield. The war with their fire-breathing foes meant that these warriors needed the latest updates in weaponry, technology and medicine. This includes prosthetics to aid those who lost their limbs valiantly while clashing swords with the toughest of foes. Of course, the Vikings of Berk also focus on battleaxes, clubs and warhammers powerful enough to send their enemies running and screaming for their mothers. During Gobber’s time as a dragon fighter, he lost his arm and foot, but using his expertise as a blacksmith, he was able to fashion special prosthetics to replace his missing limbs. 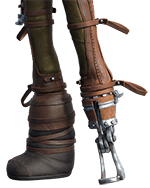 While his fighting days are long behind him, he made sure that these prosthetics allowed him to switch out several different types of weaponry so that he can dominate the battlefield should the need arise. While working as Gobber’s apprentice, Hiccup also showed an interest in inventing. While many of his first inventions failed, he finally tasted success when a weapon that he had created injured the elusive Night Fury. 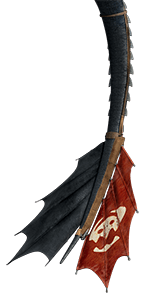 Later, Hiccup also made a prosthetic fin to help Toothless fly again after discovering that his contraption had damaged his tail. After Toothless’s fin was damaged in the battle against the Red Death, Gobber remade this contraption to make it more efficient and decorative. 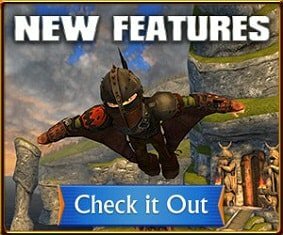 Like his best friend, Hiccup lost his leg in the fight against the monstrous dragon, but this was also replaced with a prosthetic limb. Vikings also use tools to help them find out about the world around them. In the lab, a wide variety of materials are used to conduct science experiments. For example, a thermometer can be used to measure both temperature and temperature change. 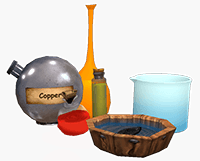 A simpler contraption that can be found in the lab is a pestle and mortar, which is used to grind down and mix substances. By using these tools, curious Vikings can expand their knowledge and apply what they’ve learned to their everyday life. The Vikings of Berk are always looking to make life easier. These inventions could also increase their chances in battle. For example, Nikora Stormheart’s ship, The Tempest, is a mechanical wonder that cuts through the tides using the steam power of dragons. With enemies who possess this sort of mechanical power, it is important that the Vikings of Berk focus on engineering and inventing so that they can go head-to-head with the mightiest of villains! I watched as my father screwed on his ax. He always did this whenever retelling stories of his glory days on the battlefield. While our days of fighting dragons are long gone, he refuses to let my brother and I forget that he not only participated in the war, but lost his forearm in the process. Unfortunately, my brother had mysteriously disappeared once we had seen Dad reach for his ax. “How did he make it?” I asked, on the edge of my seat. I paused at the door. “Oh. Right,” I said sheepishly. I obliged, practically vibrating with excitement at the idea of picking Gobber’s brain. I prayed to the gods that he would see potential in me and perhaps take me on as an apprentice. Or perhaps he could tell me how he made my father’s arm! Either way, tomorrow is sure to be informative!